WHY? Artist and plantswoman extraordinaire. I’m absolutely with you on the Carol Klein Pin Up train but in that picture I must say that her choice of knitwear is a bit suspect. And she is not doing toothy smiling. We like it when Carol is doing toothy smiling. This picture is more sultry smouldering which is maybe not her metier. 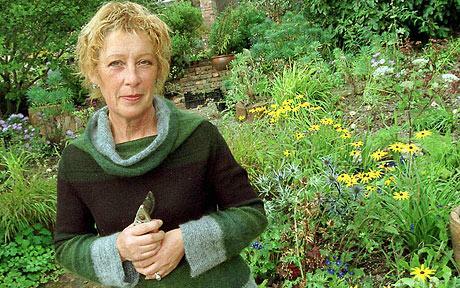 I’m with you on Carol Klein – WYSIWYG – waht you see is what you get. Knowlegeable and no nonsense.